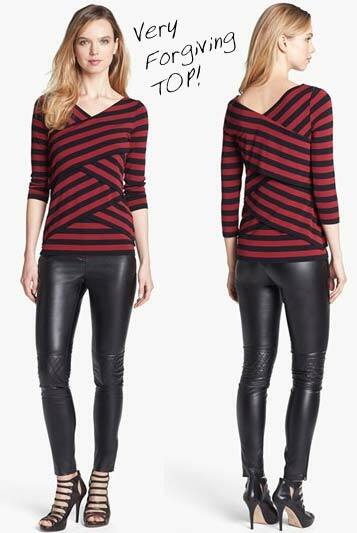 This Tiered Stripe Top by Vince Camuto has interwoven striped tiers that accent the curvy fit of a perfectly modern top. 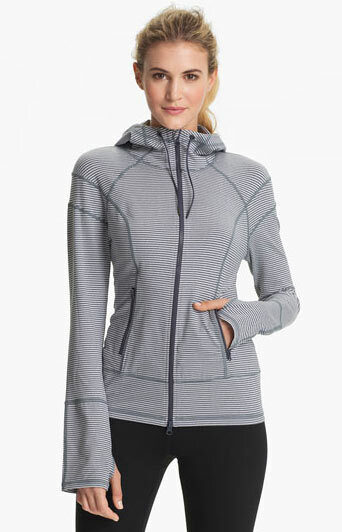 This is a very forgiving top that can hide problem areas! 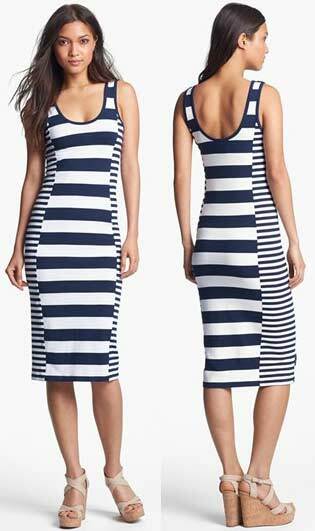 This Stripe Midi Tank Dress by French Connection has broad center stripes that are accentuated by narrower versions down both sides of this lithe, stretch-cotton dress. It is cut for a beachy tank silhouette. This is very cute and casual summer dress made with a fabric that has just the right amount of stretch to fit you superbly. Fun and flirty for your night out. 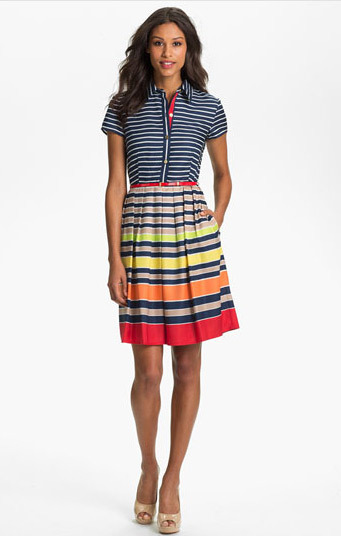 This Stripe Twill Shirtdress by Ellen Tracy has crisp stripes that reinforce the structured bodice of a fit-and-flare dress augmented with a pleated A-line skirt. A bright skinny belt echoes the bold, multihued finish.